Parrots & Company Premium Canary Blend . 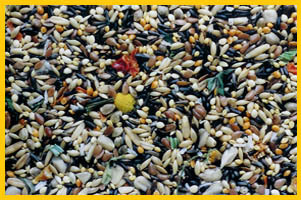 Parrots & Company of Stamford, CT > Bird Food > Parrots & Company Premium Blends > Parrots & Company Premium Canary Blend . Parrots & Company Premium Canary Blend is formulated with the highest quality canary grass seed, blended with a healthy portion of antioxidant rich vegetables and a variety of nutritious grains which offer different shapes and textures to encourage foraging. No canary can resist this diet and you are ensured that your birds get the nutrients they need for excellent health.